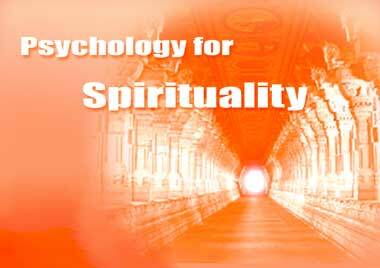 The Institute for Integral Yoga Psychology is a project of MIRRAVISION TRUST. Its ultimate aim is to flower into a unique university of consciousness studies in the light of Integral Yoga, the unique yoga gestalt forwarded by Sri Aurobindo and The Mother. At present a major part of its functioning is being initiated through this website. Psychology itself has undergone several shifts. The place of spirituality in human psyche is being increasingly acknowledged. With the popularity of the transpersonal school in psychology, spiritual, mystic and occult perspectives are becoming subject-matters that need not only to be understood but also to be transfigured in practical terms. In this context, Sri Aurobindo's psychological thought implicit in his yoga (named Integral Yoga) needs a special and distinctive consideration because it is a departure from the traditional ways of thinking as well as a departure from the ascetic tradition in spirituality. Moreover, it brings as a central theme the concept of evolution of Consciousness. The Integral Yoga of Sri Aurobindo points out that while the outer biological evolution of forms is necessary for the continuation of the species to which an otherwise perishable individual belongs, an inner spiritual evolution is necessary for the growth of the individual consciousness beyond the habitual limitation of forms. But where does such an evolution of consciousness lead to? Sri Aurobindo points out that the evolution of consciousness proceeded from matter (the Physical), traversed through Life (the Vital) and has reached the Mind, which is not the summit but a transitory stage of evolution that also needs to be surpassed. Indeed, Sri Aurobindo has mapped the paths along which the mental consciousness can be exceeded through successive stages towards a New Consciousness, which was hitherto unknown in any spiritual endeavor. Moreover, the ascent of man's evolutionary urge towards the highest peak of consciousness must be accompanied by a Descent of the highest light and force to the very base of Matter so that the latter is not rejected but transformed. Such a radical transformation is necessary so that the New Consciousness blossoms on earth itself and not in some otherworldly paradise. Thus, the attainment of the New Consciousness is not for the sake of the individual but for the earth-consciousness as a whole. Naturally, a New Psychological perspective is needed to prepare for the manifestation of the New Consciousness. The Institute for Integral Yoga Psychology has been formed for an EXCLUSIVE study of Sri Aurobindo's psychological thought, to research on its metaphysical, metapsychological and practical aspects, to derive applications in relevant academic, professional, theological disciplines and to make "Life" a field of practical Spirituality.